We have a special treat for PopCult readers tonight. Every March, for the last few years, I’ve traveled to Atlanta for JoeLanta and The Great Atlanta Toy Convention. It’s always a wonderful time and I always rush back to share video with my readers. However, this year after returning and posting a few videos, I was diagnosed with Myasthenia Gravis and began treatment which affected my eyesight so severely that I was not able to handle editing video for nearly eight months. Making matters worse, this happened to me before I got our big JoeLanta wrap-up video finished. Long story short–my treatment has been very successful, and the week before last I was cleared to resume video editing. For the last eight months this unfinished project has been weighing heavily on my mind. I am thrilled to be able to present it to you right now, especially because I’m heading down to Atlanta for Thanksgiving and wanted to clear this very important job off my desk before I took a vacation. Now I can rest a bit and turn my attention to producing the first new video episode of Radio Free Charleston since January. 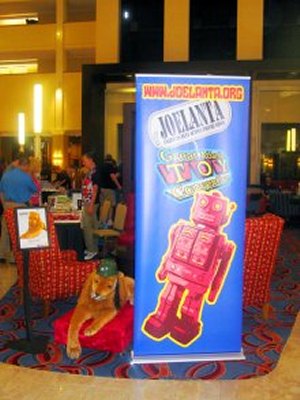 JoeLanta and The Great Atlanta Toy Convention is held to benefit the Cody Lane Memorial Toy and Diorama Museum. 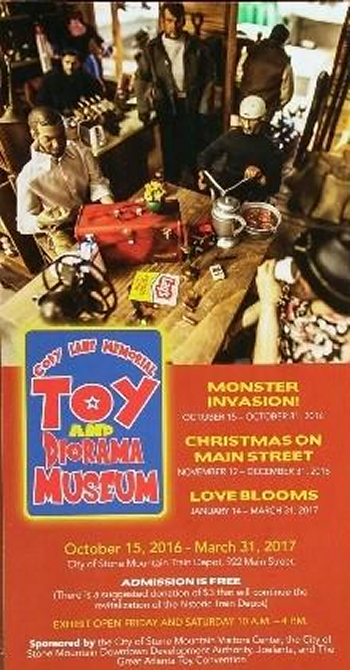 The Cody Lane Memorial Toy and Diorama Museum is dedicated to Cody Martin Lane, an avid collector and member of the Atlanta GI Joe Collectors Club, who passed away 2007, after a long battle with a degenerative neurological disorder called CIDP. He was 17 years old. Cody collected many types of action figures, from Civil War heroes to Lord of the Rings characters to, of course, GI Joes. He was particularly fond of the dioramas designed and built by the Joe Club members. After his passing, the Atlanta GI Joe Club decided to create a museum in honor of Cody’s favorite art form: the diorama. The eventual goal of Joelanta and The Great Atlanta Toy Convention is to help open a Toy and Diorama Museum in Atlanta GA dedicated to the artform that Cody loved. 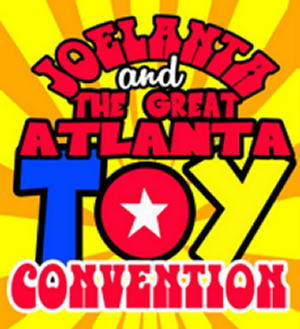 For more than fifteen years, JoeLanta has been an annual event bringing toy collectors and pop culture enthusiasts from across the country together in Atlanta to celebrate the joys of toys and friendship! Not only will you find vendors selling a variety of vintage and modern toys such as GI Joe, Barbie, Mego, Transformers, Star Wars, Super Powers, Masters of the Universe, a wide variety of 1:6 scale figures and accessories plus magazines, comic books & lunch boxes; but you’ll also have an opportunity to meet celebrities, see cosplayers and check out a variety of amazing toy dioramas. I am proud to have invited into the JoeLanta family and I hope my video does this year’s show justice. 2016 was the biggest year ever for JoeLanta and The Great Atlanta Toy Convention, with impressive panels, dioramas, special guests and a dealer room like none other. In another exciting development, The Cody Lane Memorial Toy and Diorama Museum in conjunction with the City of Stone Mountain Downtown Development Authority will present a series of temporary exhibits that give just a taste of the proposed museum. You can see these special exhibits now through Spring 2017 at the Old Train Depot at 922 Main Street in the city of Stone Mountain, Georgia. The exhibit will be open to the public Fridays and Saturdays 10 to 4 PM. Admission is free, but a suggested donation of five dollars is welcome. I plan to visit the exhibit next weekend, and will bring you plenty of photos and video. Joelanta and The Great Atlanta Toy Convention returns March 11th & 12th 2017. This promises to be the biggest show yet, and you can visit the JoeLanta website now to make hotel and show reservations and look into special early events and commander’s packages. I plan to be there, shooting videos and posting in a much more timely manner. Just watch the video to see how much fun this one-of-a-kind toy show is. In this quick highlight clip, I did not mention the excellent JoeLanta and The Great Atlanta Toy Convention Firlm Festival, which is brilliantly curated by Tim and Lisa Weedn. The film festival is a highlight of the convention, and here is Tim and Lisa’s entry for this year.